Sonora, Mexico, were joined by protesters from the Border Patrol Victims Network from Nogales, Arizona, USA, along the international border in Sonora to support and unite families of those who have been killed or injured in incidents involving U.S. Border Patrol agents. A 48-hour vigil and fast was held as a call for justice. 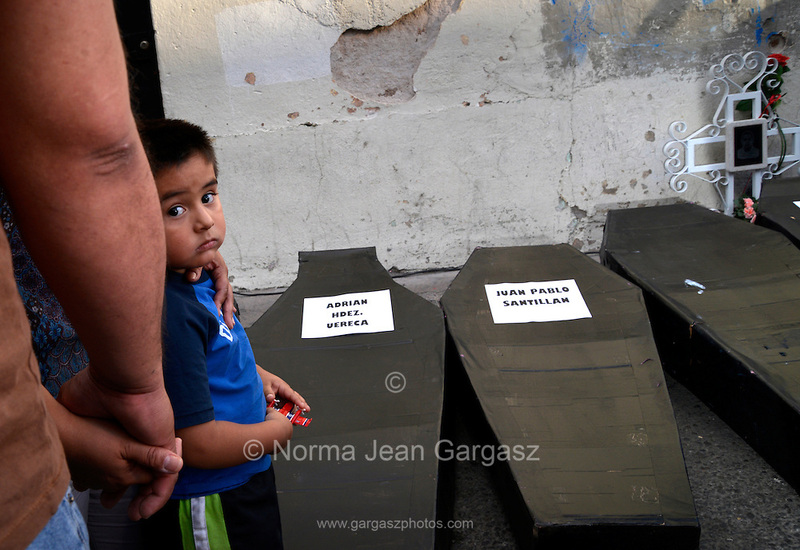 Ezdras Iuan Osuna, 4, joins his family in the protest at the site in Mexico where a 16-year-old boy was shot and killed by a U.S. Border Patrol agent who fired from Arizona in to Mexico.